Wooden furniture is known for its unrivaled beauty and its value is also unquestionable. There are most of the modern homes that opt for the furniture of other materials like metal, plastic, or glass but the beauty of wood is unsurpassed as it offers the everlasting and classic look. Wood is vulnerable to temperature changes and moisture as well that is why they need to be pampered time to time. Here we are discussing some of the most important tips to maintain its gloss and taking care of the wooden furniture. Consider the finish of the wood – Wooden furniture is available in varied range of styles, quality, and finishes. It is important to know about your furniture that which type of finish is has or which surface needs more care etc. 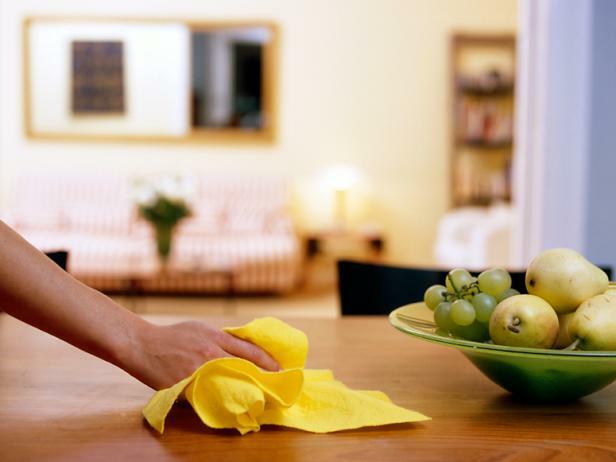 You should aware about the furniture configuration before dealing with methods of cleaning. You can also opt for wooden Work Services to get the relevant information regarding the furniture piece you have so that you can protect its finish efficiently. Use of chemicals – Try to avoid the use of harsh chemicals for cleaning and never use cheap household cleaners or solutions. There are lots of furniture cleansing products are available at low cost that can cause damage to the finish instead of cleaning. The chemicals also affect the natural color of it or it may make it look fade. Also, make sure that the product you are using is not harsh or too strong and also it shouldn’t contain ammonia. With ammonia, it can cause more damage to the furniture’s surface. You can use a damp cloth followed by dry one or you can also use a small amount of mild soap or detergent for cleaning. Avoid direct sunlight – Direct sunlight is not good for any type of wooden furniture. It is advisable to keep your furniture away from direct sunlight. If you can’t manage to change the location so your can do window treatment but make sure it is not getting direct sunlight as the UV rays can instantly damage to the surface. Determine the temperature – Wood is highly vulnerable to moisture and heat. The condition of the temperature and humidity is also needed to be considered. You can opt for coasters to protect the surface from the spills or from the mugs and glasses containing hot or too cold kinds of stuff etc. These factors lead to the discoloration of the surface and also cause dents, rings, swelling to the furniture. It is not necessary that your furniture piece stays for years as it can become dull, get cracks or the wood expands due to moisture over a period of time. So, try to avoid them placing near the humid areas or and away from heat prone areas. Polishing – If you want to keep your furniture stays for long and to maintain its look so polishing is also very much essential for it. Try to opt for the polishing by the professionals once in a while. You can do this task by your own as well but hiring a professional is advisable because it needs proper care and other skills. This might be looking pricy but you are going to add some years to your furniture so it is a kind of profitable option. Maintenance of the furniture just seems complicated but it is quite easy to take care of it. It becomes easier, if you are aware of how to do, what to do or not to do. Regular dusting is mandatory with a soft cloth, deep cleaning time to time, and polishing can be early. You can also try Online Furniture Design tool to have a new feel in your furniture.